Membership - Gold Coast Family History Society Inc.
As a member of GCFHS, the world of genealogy becomes yours to explore. Access our resources and facilities at the Society's Library and Resource Centre. Use of the GCFHS rooms and research facilities during opening hours. Free educational classes to assist with your research at beginner and advanced levels. Special interest groups. Legacy Self Help Group, Irish Group, Computer Group, Scottish Group, London Group. Our How To Classes are designed to help all members with their research from beginner to seasoned researchers. Members can add their research names to our online Members Interest List. Click the button to download your Membership application form now. Not sure about joining? Try Day Research. We can help you research for a day. 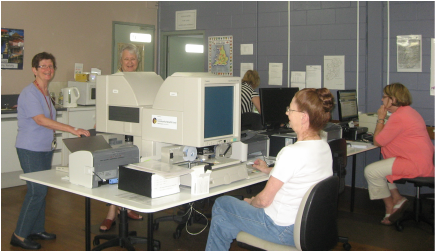 It's a great way to explore our facilities, learn what family history research is all about and discover the extra advantages of membership. The Day Research fee of $10 is completely refundable when you join on the same day.